iOS 11 is one of, if not the biggest update to iOS since its inception. 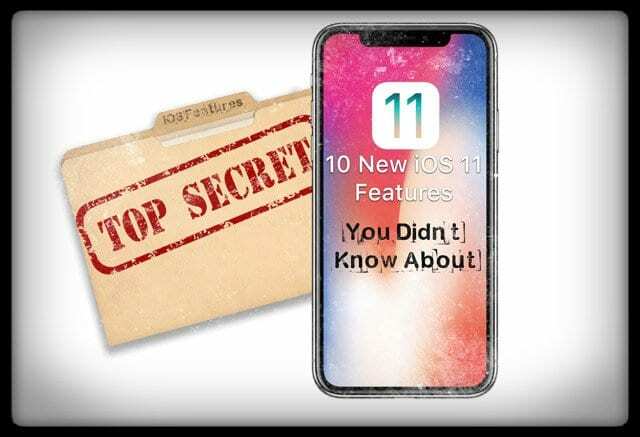 While there are well-known changes like the new iPad features, there are many smaller new features in iOS 11 that haven’t gotten as much press. Today, we’re taking a look at ten changes in iOS 11 that make it even better and you probably didn’t know about. 10.1 Don’t Want Every Call Answered? 11.1 How do I get Siri to translate for me? 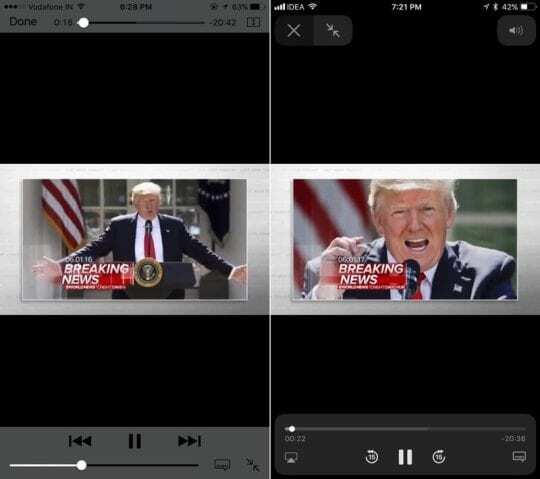 Prior to iOS 11, the video player in Safari featured to gray bars that interrupted your content, as well as that annoying volume window whenever you wanted to change the volume. In ios11, Apple has completely changed the media player so it looks nicer and is way less intrusive. When you play a video, the new player has smaller assets that are translucent and don’t get in the way. And, when you change the audio, a small icon in the corner indicates the changes, while not disrupting the whole experience. Have you ever had a guest over, and then they wanted the Wi-Fi but you couldn’t remember the code? Now, with iOS 11, Apple has a fix for this problem. 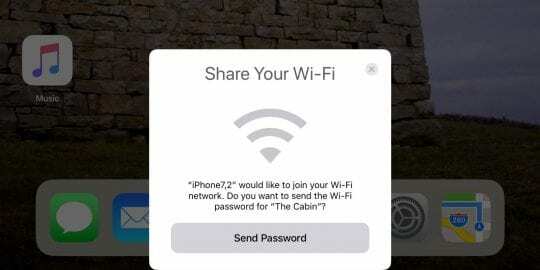 When an iOS device attempts to connect to a network that you already have the password for in proximity of your device, a pop-up appears asking if you’d like to share the password with the other device. And your guest’s device instantly connects. Have you ever used an app where those pesky ‘please review our app’ ads keep popping up? With iOS 11, Apple is finally stepping in to fix that. 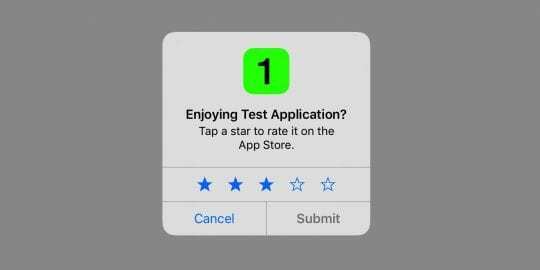 In the new iOS 11 update, developers can only ask someone this up to three times a year, and if they’ve already reviewed the app, the bubbles will no longer pop up. Additionally, you can now turn off the messages entirely via a new setting. 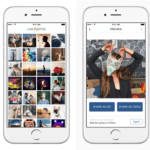 Live Photos, which have been around since iPhone 6s, capture 1.5 seconds of images before and after a photo so photos really pop with movement and sound. 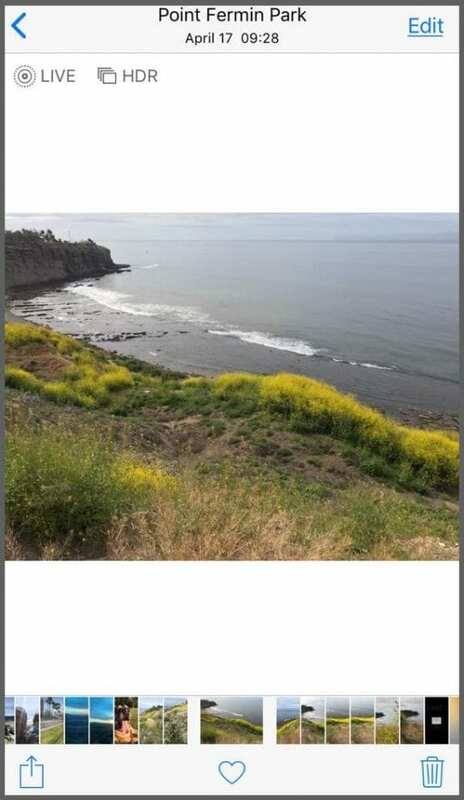 Your Photos seems to come to life and are spectacular! 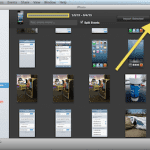 But there is a problem–Live Photos require an iOS device to view. 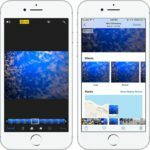 So if you send a Live Photo to an Andriod phone, it’s no longer “Live.” However, with iOS 11, you can now share Live Photos with all devices, including non-Apple products. So, now if you text a Live Photo to an Android user, they’re sent as MP4 video files. 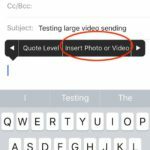 Additionally, if you want to email someone a Live Photo, iOS automatically converts it to a GIF. We love this! In iOS 10, Apple introduced iMessage Apps, which are extensions that allow you to send new types of content through the app. While some of these are useful, they were hard to find and required a few extra steps. With iOS 11, a drawer of iMessage Apps remains present at the bottom of iMessage at all times, allowing you to quickly send a unique message. 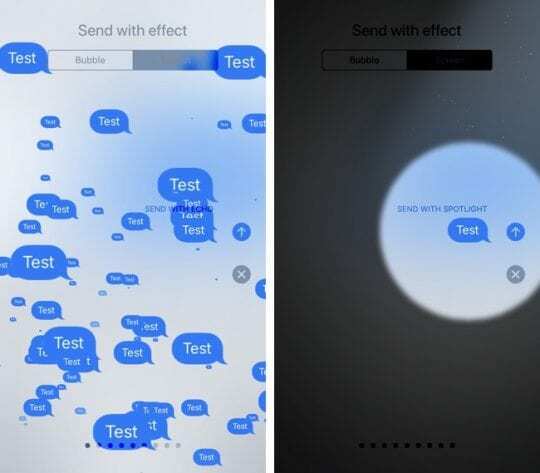 iMessage effects were also introduced in iOS 10. They allow you to add effects to your messages when you send them. Apple has added two more effects in iOS 11. Echo, which has your message copied flying around in a tornado fashion, and Spotlight, which darkens the rest of the message field and focuses on your message. 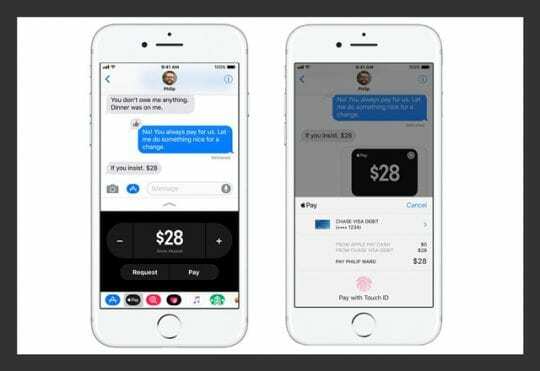 With iOS 11, Apple is introducing a new money sharing service called Apple Cash. With the feature, you can send your friends money via a button in iMessage and your Apple Pay credit cards. If you receive money, it’s automatically added to the balance of an Apple Cash card in your Wallet and can be transferred to a bank account. Have you ever FaceTimed someone and seen a moment that you wanted to capture? Now, with iOS 11, FaceTime features a shutter button at the bottom left of the call. Clicking it takes a live photo of your FaceTime call, allowing you to capture the few seconds before and after of your phone call. If your someone that always answers your phone but sometimes can’t immediately reach it, Apple has a feature for you. With iOS 11, via a new setting, you can tell iPhone to automatically answer all phone calls and put them on speaker, and give it a duration to wait before doing so. Unfortunately, this feature’s not easy to find! You’d think Apple would place in in your Phone Settings. Nope! It’s tucked away, like so many other feature gemstones, in Accessibility. 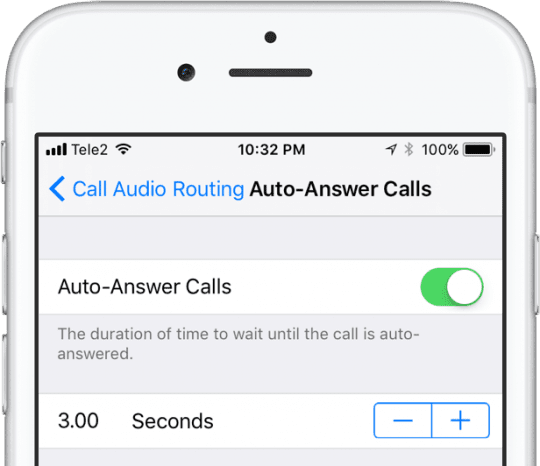 To turn this Auto-Answer feature on, go to Settings > General > Accessibility > Call Audio Routing > Auto-Answer Calls and toggle ON. Once it’s on, set your duration to wait until the call is auto-answered. And there’s even support for Wi-Fi calls, FaceTime calls, and third-party VoIP calls from apps like WhatsApp and Skype (and more.) That’s in addition to supporting your regular ole’ mobile carrier calls! Don’t Want Every Call Answered? 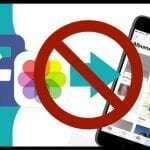 No problem, create your own whitelist by turning on Do Not Disturb, turning off allow repeat calls, and selecting your Favorites under Allow Calls From. Just make sure you favorite everyone you want to receive calls from. Find these features in Settings > Do Not Disturb. And for all you international travelers, Siri now knows how to translate in iOS 11. If you ask Siri to translate a phrase, she’ll come back with the answer, and be able to speak it for you. Additionally, Siri listens and translates back to English. As of this writing, Siri translates English into French, German, Italian, Mandarin, and Spanish. No Japanese yet–as I learned when Siri couldn’t perform my request. AND, sorry fellow English speakers around the world. It looks like US English is the only one supported so far–Australian and British English currently don’t work. This is one of the most requested features for Siri–and it’s finally here. We expect this to make a big difference for folks trying to communicate in a country where they don’t speak the local language. And the best part, if Siri doesn’t make sense or can’t be heard, just show them your iPhone to read! Just remember that Siri needs an internet connection, WiFi or Cellular, to do her magic. To learn what languages Siri currently supports for translation, check Apple’s updated Siri information. 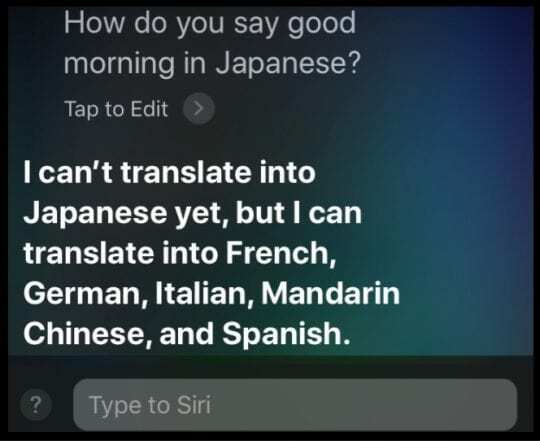 How do I get Siri to translate for me? 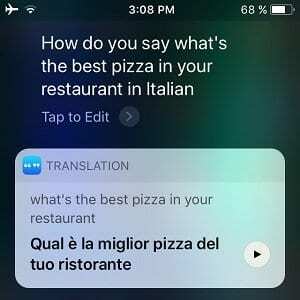 If you’re in a place where talking isn’t appropriate or you don’t feel comfortable using Siri as your translator, with iOS 11 you can use Type to Siri and still have Siri do your translations in text form only. Just make sure you enable Type to Siri first. And again, it isn’t where you expect i.e. in Siri’s settings. Instead, find Type to Siri in Accessibility. 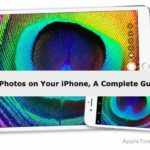 iOS 11 has a lot of hidden treasures–if you know where to look. We hope that these 10 tips on iOS 11 Features get you started on a journey of discovery on all that iOS 11 offers. We know there’s a bunch more great features, so if you find one that really rocks your world, let us know in the comments. And we’ll pay to forward to all our readers. Hi, thanks for the helpful information. I’m wondering if you know anything about the VoIP integration with the newest iOS. After 8.4. VoIP integration changed and a call from apps such as what’s app now integrate with your regular calls, appearing as incoming, recent calls, missed etc..with your regular calls. If you put the do not disturb, your regular calls will stop but whatsapp still calls. There is no feature to be able to disable those calls. I’ve reached out to Apple. And what’s app to find out if there’s a way to choose to disable whatsapp calls and have not found a way. On the old settings you could click disable notifications and your calls and messages would deliver to what’s app but only be accessed if you opened the app. Which is nice if your in a meeting and don’t want all the calls to appear but when the integration happened, one can no longer disable the VoIP call. For this reason I have not updated but am hoping on the newest iOS, there will be some privacy setting available. Do you have any information on this problem? Thanks for your time. That’s a great question and unfortunately, nothing’s changed in iOS 11 for VoIP integration and filtering. As before, this feature is something that app developer needs to build-in. That’s why some apps, like Skype, offer a toggle to enable to disable call integration and others do not offer it. Your best bet is to continue to contact the WhatsApp team (and get your friends to do the same) and let them know this is a feature you want in future updates. The newest iOS update 11.01 is draining my battery like crazy. The iOS 11 update did not do that. Why is this happening? Kim, Thanks for your comment. Give it a couple of days and it should be back to normal battery patterns. If it is still a problem, you can try switching off the Siri&Search for all your apps. 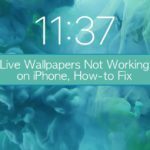 When you do this, it prevents re-indexing and increases battery use/stand-by time. In order to do this, you will need to go to Settings > Siri & Search > scroll down to the apps section and for each of the apps, turn OFF Search and Siri Suggestions. This should bring back your battery to life in a day or so. Good Luck and lets know if the tip worked for you. Make sure you restart your iPhone after the update–that may help ease that battery draining. Some users report success when they let the battery fully drain until the phone shuts off, then fully charge it WITHOUT using the phone during charging. Pretty extreme and certainly inconvenient. Apple does acknowledge some battery problems, particularly on iPhone 6S models. If you’re experiencing this on an iPhone 6S, contact Apple Support via email, chat, or phone. They may send a post-paid box to return iPhone for a thorough battery check and possible replacement. We have some additional battery saving tips here.